Irvine, CA – LeaseCalcs, Inc. is an enterprise-class Software-as-a-Service (SaaS) patented lease analysis, accounting – including the FASB & IASB’s new lease accounting standards – administration, market insights and business intelligence application for commercial real estate, finance, accounting professionals and C-Suite executives. With a focus on commercial real estate and equipment leases LeaseCalcs is the only application that can take you from contemplation of a lease “deal” to the expiration keeping track of all the revisions, amendments, reassessments, journal entries and keeping the accounting accurate for both current standards and new standards. As companies begin looking for solutions to the FASB/IASB accounting changes it has become more prevalent to have transparency for cloud-based service providers’ internal controls over financial reporting. 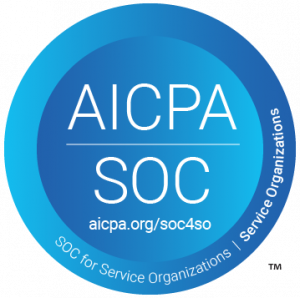 Completing the SOC 1 certification shows our commitment as your trusted partner for financial reporting. The largest commercial real estate brokerage firms and leading corporations around the globe use LeaseCalcs to improve their business processes, financial performance and market intelligence. To learn more about LeaseCalcs visit www.leasecalcs.com and follow on Twitter at www.twitter.com/leasecalcs. To learn more, feel free to schedule a demo, or watch the fast paced eight-minute overview of the Corporate Edition of LeaseCalcs. If your company or your client is using an older lease administration program, you might have already heard the distress calls. You see, a lot of companies are just learning that their leases – and their lease accounting project – are trapped in the harbor. Their existing system won’t – or can’t – help them get into compliance with the new lease accounting standards. With less than seven months before the new standards take effect for public companies, LeaseCalcs is like the Coast Guard for these firms. We have successfully migrated other clients off of all of the other major lease administration programs, and have the ability to easily import all of their lease data as a result. In other words, LeaseCalcs can help your clients get their leases out of the harbor and help them navigate their way – quickly and easily – to compliance with ASC 842 and/or IFRS 16. LeaseCalcs’ patented, award-winning, lease accounting and lease administration platform is fully GAAP and IFRS compliant. We have scores of global, public companies already using LeaseCalcs for all of their lease accounting and administration needs. Some of our clients even adopted the new lease accounting standards early – on January 1, 2018 – meaning LeaseCalcs is being used right now to drive financial reporting for public companies around the world.